Warner Bros. Pictures’ familiar “Looney Tunes” characters are headed back to the big screen for an all-new feature film, says a story at The Hollywood Reporter. 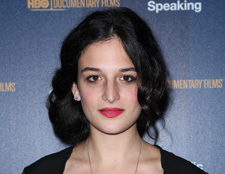 Comedian Jenny Slate has been hired to provide the screenplay. Details of the project are few, but the new film is expected to merge CGI and live-action, similar to the studio’s approach to 1996’s Space Jam and 2003’s Looney Tunes: Back in Action. The first theatrical short debuting more than 80 years ago, “Looney Tunes” has, over the years, become synonymous with some of its more famous characters like Bugs Bunny, Daffy Duck, Porky Pig and many, many more. The most recent theatrical iterations of the characters have been in CGI shorts. The last, “Daffy Rhapsody,”, was shown before screenings of Journey 2: The Mysterious Island. Jeffrey Clifford, Seth Grahame-Smith, David Heyman and David Katzenberg are attached to produce.